What to do if you’re ill over Easter and Pharmacy Opening Times. On 25th May 2018, the General Data Protection Regulation will replace the Data Protection Act. To find out more about how this change will affect the way the surgery processes personal data, click here. Please also check the 'Patient Information' page on this website for future information. EConsult- Consult Our Doctors Online Now! River Wey patients who have tried this service have saved both themselves and GP's time here's some of our positive and constructive feedback. "Very convenient for those (like myself) who struggle to get time off work for appointments. A time efficient way to sort out non-urgent issues. Feels better to not take up a GP appointment when there are others in more urgent need." "I was able to talk over my problem with a doctor and and be reassured as to how to deal with my problem without having to take up an appointment time that could be used for someone else." "As a carer to 2 autistic children and mother of 4, actually getting in to see a doctor is quite a challenge for me. I also find it hard to take calls during the day at times so doing a consultation online is perfect for me. The questionnaire was very thorough and easy to follow. An excellent new service offering." River Wey Medical Practice has been assessed as 'Dementia Friendly'. 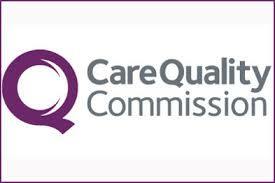 River Wey Medical Practice was inspected on 2 October 2014. The inspection was a comprehensive inspection. If you are unsure as to who your named GP is, please contact reception. You can of course see which ever GP you choose when you are visiting the practice.